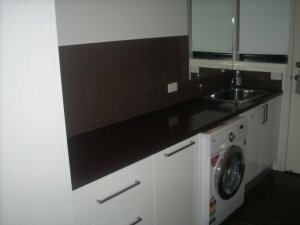 At Eaglestone Creations, we are actively engaged in offering you high quality and stylish stone benchtops in Melbourne. 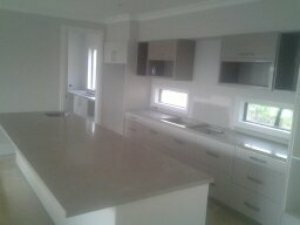 Our range of RHF Quartz Stone Benchtops will live up to your expectations and provide effective and long lasting service life. We have a team of expert stonemasons who are highly efficient in their work and they will work with you so that your requirements are reflected in the final product. Our experts will assist you throughout the process, before starting they will discuss in depth what your requirements are and only then will the process of manufacture begin. So, you can be ensured that you will get a 100% satisfactory result as per your specifications. 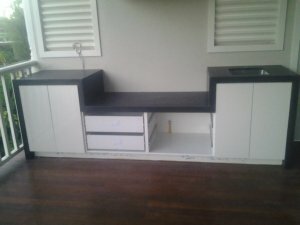 We stock a wide variety of stone benchtops including marble, granite and RHF Quartz Stone Benchtops in Melbourne. 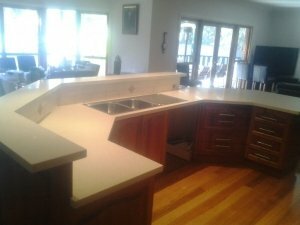 You are free to choose in accordance with your specific requirements and if you have a special demand, then we are able to offer you our custom-made range of stone benchtops. 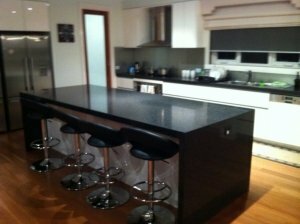 So, when it comes to providing benchtops, you can be assured that nobody can do it better than us. Along with this, you can avail quality products at reasonable rates so you can be sure that you have invested your hard-earned money in the right company. 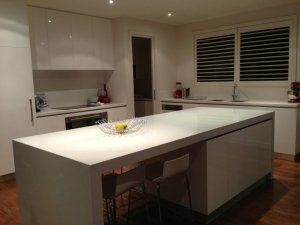 Thus, if you want to know more about our RHF Quartz Stone Benchtops in Melbourne, then you can feel free to visit our official website or call us today; our dedicated and friendly staff is always ready to serve you! At Eaglestone we pride ourselves on providing the most complete customer service throughout the entire custom bench top process, from helping you choose the right stone to fit your needs all the way to the fabrication and installation of your new custom benchtops. We strive to exceed your expectations to ensure that you are completely satisfied with your purchase and installation. What’s more, we are here to help even after the job is complete! Over 70,000 Users, Let’s See What Some Have To Say? “We built our dream home and had Eaglestone provide custom stone tops for our kitchen, vanities, and laundry. They also installed marble hearths for our fireplaces. The team at Eaglestone were the most reliable tradespeople during our build. They never promised what they could not deliver. We have recommended them to family and friends and will gladly do so again”. “This is our second kitchen and bathroom renovation and what a difference it makes when you deal with the right people. Eaglestone made our experience better than we expected. Their workmanship was fantastic and they even cleaned up after themselves. We found them to be courteous and pleasant throughout the whole process. Thanks heaps”. “We’ve used many stonemasons in the past but these guys really know their stuff. We have no hesitation is recommending them to anyone”. “Our stone work was very detailed as we were replicating stone tops from yesteryear. We got more than we expected. What we got was a work of art that was clearly performed by a company that really values what they do. Courteous, clean and a job beyond our expectation, what more could you want”?